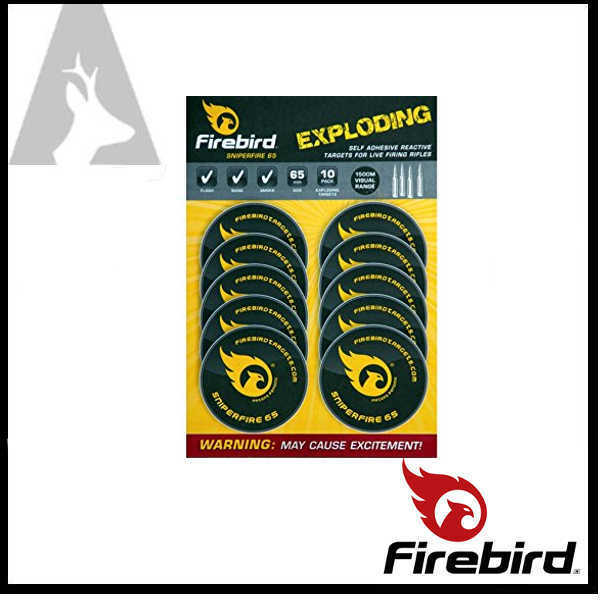 The FIREBIRD EXPLODING SNIPERFIRE TARGET is available in 40mm and 65mm and is designed specifically for use with any high velocity live firing weapon. The SniperFire comes with a high tack double sided tape applied allowing the target to be affixed to any clean and dry uniform surface such as plywood, fluted plastic or such like. Now being used by specialist units of the military and police in a number of different countries, the Firebird SniperFire not only adds a significant sense of achievement to the shooter when it is hit, but also gives a very practical hit indication at long distances. It is proving to be an unrivalled and revolutionary tool for sniper training.